Are you wired with Crop Vision? When you see a photo, can you automatically visualize how the photo should be cropped for maximum effect? If not, you’re not alone. Most people would welcome a few crafty suggestions before making final cuts to their favorite photos. Instead of calling over the neighbor for advice, Photoshop Elements users can simply consult the Crop Tool. 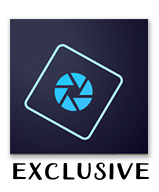 The Crop Tool comes with a slick little option, called Crop Suggestions, that gives you four suggestions for where to place the crop box on your image. Tell PSE what proportion you want your photo. 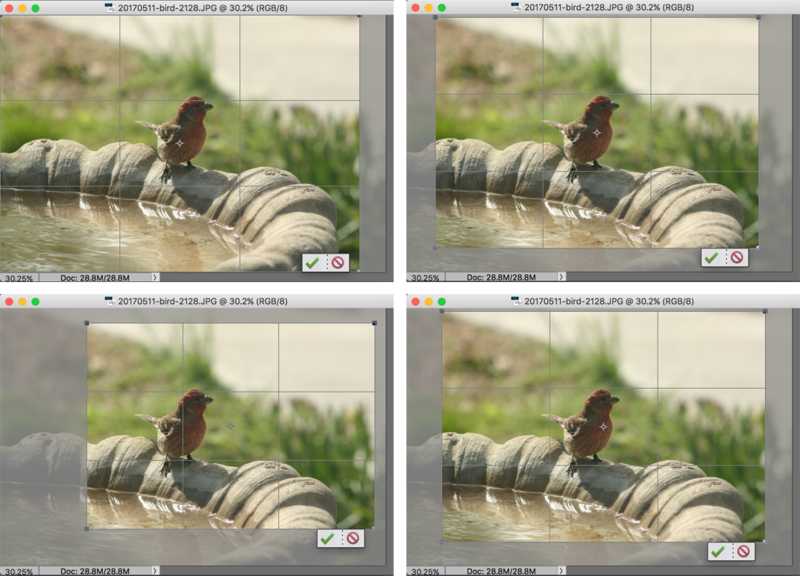 Click on each of the four Crop Suggestions to see them in action. Use a suggestion as is, or just use it as a starting point. I think I really like the bottom left suggestion. How about you? So, check out Crop Suggestions in the Tool Options of PSE’s Crop Tool. It might be just what you were looking for to help you think outside the box. Photography Tip: Always crop a photo with your editing program, not with your camera. Doing this will give you the most flexibility. Not possessing the “professional eye” – I welcome suggestions. It gives me a chance to compare results before deciding on the view I like best. Maybe the option to turn off the feature would satisfy both the expert and the beginner? O my, I’m with Hugh. The crop suggestions ALWAYS show up for me, too, while I am doing my own crop. I don’t need or want suggestions. For me, it’s always clear exactly where/how I want the crop. And totally depends on how I’m using the photo, so yes, Jen, I definitely always try to leave room for cropping when I take the photo. My gosh. But no…I don’t click or hover on “crop tools”…* am on the photo…and up they come, sometimes messing up my perfect crop I already had made!!!! i am in PSE 15. is it possible to delete this feature?? I hate it. Very distracting while cropping the way I need an image cropped. Nothing wrong with your suggestion, I just don’t care to use it and would be happy to get it out of my way! Hi Hugh. Which part do you find distracting? The crop suggestions only show up if you hover your cursor over them or click on them. PSE does not give you the option of removing Crop Suggestions from the Tool Options. Sorry.